As a Jacksonville DUI Lawyer, I have defended many people that have been arrested for drinking and driving. Florida DUI laws are the same for all counties in Florida, including Duval and Clay County. I have heard many different types of accusations and plenty of defenses to this drunk driving charge. In some DUI or DWI cases, drivers are pulled over for driving erratically, but it will turn out that the person had an excuse for driving erratically. Sometimes, people appear to be under the influence, but they are actually just tired. 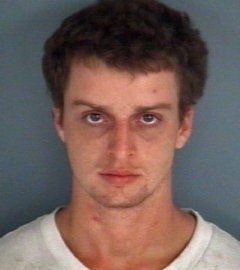 Being a Jacksonville criminal attorney, I feel like I have heard it all, but I have never heard anything like this story about a Clay County driving under the influence arrest. A Clay County Lawyer will certainly have an interesting investigation with this Green Cove Springs DUI case. The police officer had a second witness, besides the squirrel, to this Clay County DUI case. Michael’s girlfriend came to the scene in Green Cove Springs. She informed the police officer that she told Michael that he should not be driving. Her statement will certainly be used against him. Michael was taken to the Clay County Jail. This is where the breath test was given. Police claim that he had a “blood-alcohol levels of .145 and .156.” He has been charged with misdemeanor Florida driving under the influence, under Florida Statute 316.193, and driving without a seat belt. If you have been arrested driving under the influence in Jacksonville or Northeast Florida, call a Jacksonville criminal defense attorney for help with your case at (904) 564-2525. At 20 Miles Law, a lawyer in Jacksonville with experience with DUI and DWI cases will work to help you.